You will be excited to find out all the fabulous things to do in Monaco and points of interest that are ideal for all types of travelers including families that range from visiting palaces to viewing medieval cities to gambling to lounging on the beach. 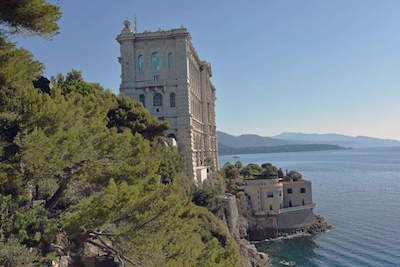 You have numerous sightseeing opportunities to places like Nice or Cannes as well as the countryside of the Cote d’Azur. There are options for car racing, viewing art galleries, walking through the Exotic Garden or the Princess Grace Memorial Rose Garden and the Oceanographic Museum of Monaco is one of the best in the world. Other excursions will have viewing the historic architecture at the Prince’s Palace, the Opera of Monte Carlo and the Casino of Monte Carlo is perfect for trying your luck. 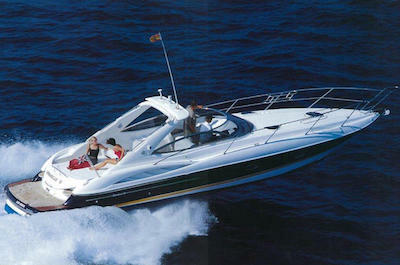 Larvotto Beach is superb for sunbathing and you can even rent a luxury yacht for the day to help create your adventure. 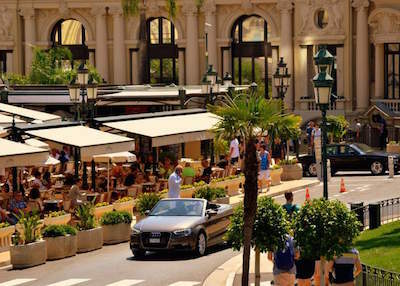 One of the best things to do in Monaco for families who are looking to view some of the incredible in and around the area is to take a Sightseeing Tour. You have a wide variety of options that will have you visiting places like the Prince’s Palace on the Rock of Monaco or taking a tour of the quaint French countryside of the Cote d’Azur. There are options to visit Cannes as well as Nice and you can wander the medieval streets of Eze. These excursions will bring lasting memories whether you decide to concentrate on taking photographs, visiting the Casino of Monte Carlo or walking through the Princess Grace Memorial Rose Garden and don’t forget the views of the French Riviera you can experience at every stop. If you want to raise your adrenaline level and experience driving one of the most high-powered automobiles in the world then a great thing to do in Monaco is to try a Sports Cars Driving Experience. You will feel your blood boil as you get behind the wheel of a V10 Lamborghini Gallardo or a F430 F1 Spider Ferrari and start to cruise the city streets of Monaco. The air will sweep through your hair as you put press down on the gas pedal as you drive the scenic coastal road. 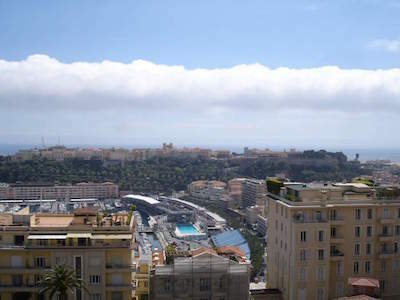 Other options have you following the circuit of the Monaco Grand Prix as you navigate around the famous course of 19 turns which includes the Fairmont Hairpin. You can decide the length of time you wish to drive one of the finest automobiles in the world in one of the most glamourous places of the world. 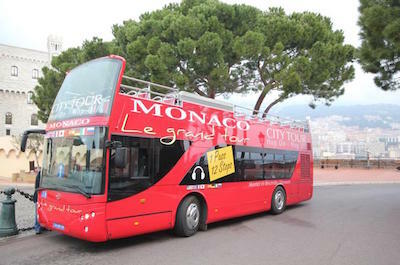 When you want to explore at your own pace and view the sights that are important to you then an ideal thing to do in Monaco is to try the Hop on Hop off Tour. You can decide on a one or two-day pass which will have you riding around town in a double decker bus while you listen to interesting facts about the places you will visit. There are 12 stops along the route which you can access that range from the Casino Square to the Grimaldi Forum to the Prince’s Palace on the Rock of Monaco. Other places of interest you can see are the Japanese Gardens, the Princess Grace Memorial Rose Garden and the Oceanographic Museum of Monaco which was managed by Jacques-Yves Cousteau for many years. One of the more popular things to do in Monaco when you want to experience more of the French Riviera is to take a Day Trip from Monaco. These excursions are perfect for all types of travelers and the selection of tours will have you visiting unique places. You can decide to go to Cannes for a day and make a stop in Nice where you ca indulge in some tasty cuisine. Other options have you exploring the Cote d’Azur while sipping wine in farmland around Grasse or you can decide to venture to Antibes, Eze where you will stop at a perfumery and you will be amazed at the luxury yachts in St. Tropez. The tours offer a variety of activities which are sure to please everyone from shopping to food tastings to photographing the French Alps. If you want to combine some adrenaline with a breath taking view of the French Riviera then the perfect thing to do in Monaco is to take the French Riviera Scenic Helicopter Tour from Monaco. 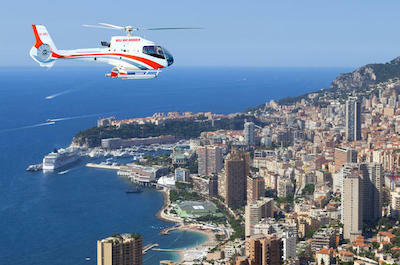 This is excursion is perfect for travelers that want a bird’s eye view of the French Riviera as you soar high above taking in sights such as the Rock of Monaco where you can peer down at the Prince’s Palace, Saint Martin Gardens and the intricate architecture of the Oceanographic Museum of Monaco. 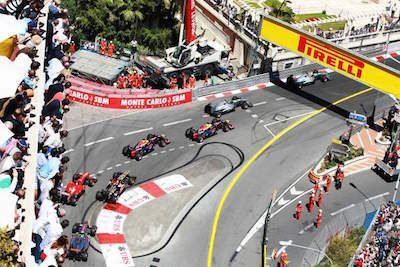 As your adrenaline begins to bubble over you can see the incredible tight turns of the Monaco Grand Prix as well as the Casino of Monte Carlo. Other interesting sights are the lush grounds of Monte Carlo Country Club, and the luxurious yachts that are docked at Port Hercules as well as the beachfront at Larvotto. An added bonus on this excursion is complimentary pick-up and drop-off service from your hotel. Whether you are a couple looking for a romantic adventure or a family wanting to spend quality time together a popular thing to do in Monaco is to get away from the bustling city and experience the beauty of the Mediterranean Sea on a Private Luxury Yacht Cruise. You will travel the coastline of the French Riviera in a Portofino 32 luxury yacht and have your choice of several itineraries which include stopping at small islands as well as sandy beaches. While you are cruising on your private yacht on the coastline you can view scenic places like Beaulieu, Menton, Villefranche-sur-Mer as well as Cap-d’Ail while you relax and enjoy complimentary beverages. You will enjoy the natural scenery of the coastline as you sail by the inlets of Fossette and La Mala creeks before spending time on a beach where you can soak up the sun and there will be opportunities for you to explore the underwater world of the Mediterranean Sea while going snorkeling. When you are ready to view some of the most impressive art within the French Riviera then a great thing to do in Monaco is to try an Arts Tour of the French Riviera. You will be pleased with the relaxed setting you will find while experiencing three of the top museums for art in the area. Your excursion will take you to places like the Middle Corniche where you will find panoramic views of the Mediterranean Sea before you arrive to Saint-Jean-Cap-Ferrat where you will make a stop at the Villa Ephrussi de Rothchild. After exploring the rich collection of porcelain and the beautiful gardens you will then continue to Nice at tour the Cimiez District and the exquisite exhibits within the Chagall Museum. 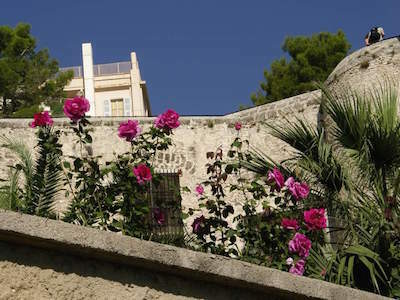 Another great place you will visit is the Matisse Museum where you will find the famous painter’s art in a charming exhibit within a 17th century Italian home. Added bonuses on these excursions include an expert guide as well as complimentary pick-up and drop-off service to your hotel. If you are a foodie and want to view the countryside of the Cote d’Azur then an ideal thing to do in Monaco is to take a Nice Food Tour from Monaco. These excursions are perfect for travelers looking for an intimate tour that includes several stops at places such as Mont Alban where you will have a commanding view of the French Riviera, Nice and Villefranche from a 16th century fortress. 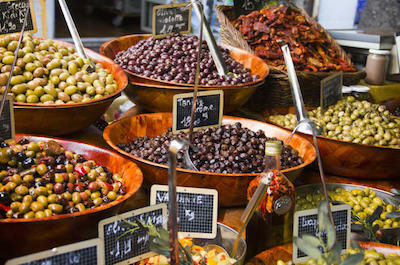 You will make stops at quaint little villages like Opio where you will taste tapenade from the French Riviera and view the landscape of Grasse. Once you are in Nice you can indulge in several specialty dishes like socca and pissaladiere as well as sip on a great glass of wine. There are added bonuses too such as complimentary hotel pick-up as well as drop-off service and while you are driving your expert guide will inform you of all the pertinent history of the area. One of the more fascinating things to do in Monaco for people that like historic architecture, history and to take in incredible views of the Mediterranean Sea is to plan a trip to the Old Town of Monaco. Located on the Rock of Monaco, Old Town of Monaco is a series of narrow streets which will leave you feeling like you are strolling through the Middle Ages. Once here you will find impressive buildings with Baroque as well as Renaissance Revival architecture such as the Prince’s Palace which has been occupied by the Grimaldi Family since the 13th century as well as Saint Nicholas Cathedral where Prince Rainier III and Princess Grace rest. Other important buildings you can view are the Palace of Justice, the Oceanographic Museum of Monaco which was managed by Jacques-Yves Cousteau for many years and the Museum of Napoleonic Souvenirs and Collections of the Historical Archives of the Palace which concentrates on the history of the First Empire under Emperor Napoleon I. Another interesting spot to visit in Old Town of Monaco is the Saint Martin Gardens which is a perfect place to have a picnic while experiencing incredible views of the French Riviera. 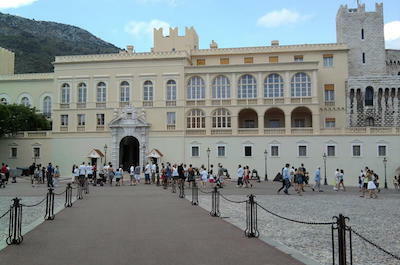 If you are interested in viewing the residence of the Prince of Monaco then a perfect thing to do in Monaco is to stop at the Prince’s Palace also known as the Palais du Prince. Located on the Rock of Monaco, the Prince’s Palace was originally constructed in the 12th century as a medieval fortress and has since been modified numerous times over the last 700 years. The main architectural style of the palace has been accented with Renaissance Revival features but when you visit you can still view some of the medieval fortress features in the rear of the building. 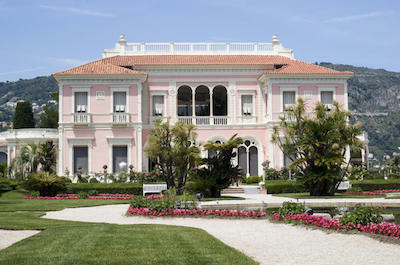 The palace has been occupied over time by the Grimaldi family and is the main residence of the Prince of Monaco. Inside you will find several state apartments with elaborate decor of period furnishings as well as frescoes, Italian gilding and lots of marble. One of the more interesting rooms is the Mirror Gallery which mimics the Hall of Mirrors in Versailles. The courtyard of the palace is open to several events throughout the year which include weddings of Grimaldi family, an annual Christmas party for children and for births of new members of the royal family. 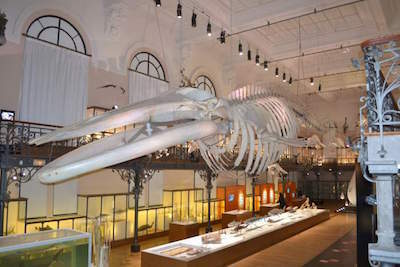 One of the most popular things to do in Monaco for travelers interested in learning more about the underwater mysteries of the world is to take a trip to the Musee Oceanographique also known as the Oceanographic Museum. Located at the base of Rock of Monaco, the Oceanographic Museum was constructed in 1910 by Prince Albert I with a Baroque Revival architectural style and features over 90 aquariums which are home to more than 6,000 specimens of marine life. Once at the museum you can view more than 100 species of different corals, 4,000 species of fish and more than 200 species of invertebrates. One of the best aquariums inside is the Shark Lagoon, Turtle Island as well as the historical collection which features items from over 28 explorations that were funded by Prince Albert I. The museum is also famous for being managed by Jacques-Yves Cousteau’s and you can learn about many of his scientific marine adventures which are featured in several exhibits throughout the museum. While you are there you can also view many lectures and educational programs that are geared towards marine life conservation. 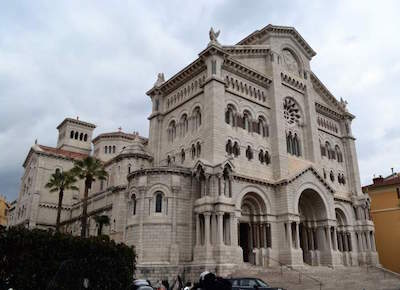 If you are interested in historic architecture and viewing a place which has hosted several major events including funerals and weddings of elite people then an ideal thing to do in Monaco is to visit Saint Nicholas Cathedral. Located in the Monaco-Ville District, Saint Nicholas Cathedral was constructed on the same site as the original 13th century church during the years of 1875 to 1905 with a Romanesque-Byzantine Revival architectural style that features a white rock from the area of La Turbie. The interior of the church is adorned with white marble altar pieces, a painting by Louis Brea that dates back to 1500 and there is a four keyboard organ. Saint Nicholas Cathedral hosted the wedding of Prince Rainier III and Grace Kelly in 1956 with celebrities such as Cary Grant and Ava Gardner attending the services. The church is the resting place for much of the Grimaldi Family members including Princess Grace and Prince Rainier III. 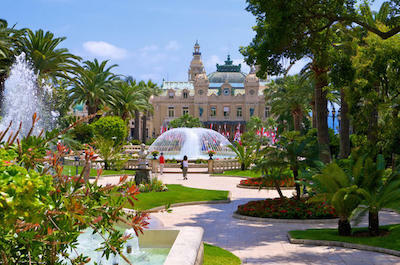 Visiting the Monte Carlo Casino and Casino Square are two of the great things to do in Monaco for travelers who are interested in trying their luck as well as viewing an iconic pop culture site. 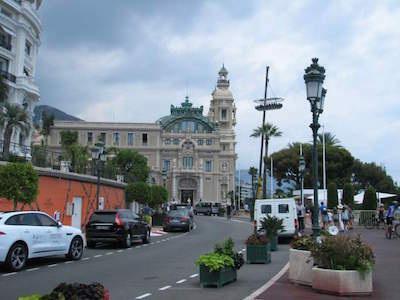 Located along Place du Casino, the Monte Carlo Casino and Casino Square have been featured in several James Bond movies as well as Ian Fleming’s novels. First constructed in 1863 with a Second Empire architectural style the building has been transformed over the years with additions that include accents of Belle Epoque and Beaux Arts. The casino has numerous table games and gaming machines that cater to the rich as well as the ordinary person. There is a garden area around the casino square that is lush and manicured offering a relaxing place for travelers. 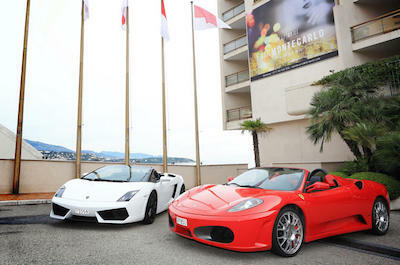 Within the complex there is also the Grand Theatre of Monte Carlo which hosts many events throughout the year. 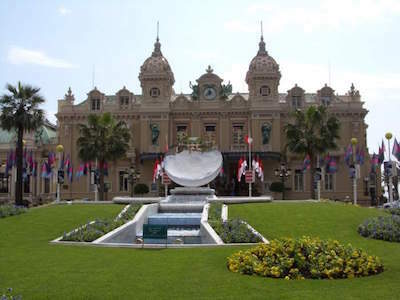 The Casino de Monte Carlo is most famous for its roles in movies such as Golden Eye and Never Say Never Again. When you are ready to bath in sun and enjoy the warm waters of the Mediterranean Sea then the only thing to do in Monaco is to take a trip to Larvotto Beach. Located a short distance from Monte Carlo along Princess Grace Avenue, Larvotto Beach is the only public beachfront that stretches for over 1,200-feet and features fine grained sand which has been imported into the area to assure beach goers of a splendid experience. Once at Larvotto Beach you will find opportunities for beach equipment rentals as well as food and drink in one of the many beach clubs. The beach is a haven for European style sunbathing as well as people watching and there are a number of watersport activities that will help you cool off in the warm weather. The beach can be quite crowded during the summer months so the early you arrive the better. Above the beach you will find a promenade which is ideal for walking and jogging or just enjoying your favorite land activity from roller blading to bicycling. Making a stop at the Opera de Monte-Carlo is a great thing to do in Monaco for travelers that like music performed within the grandeur of a beautiful historic building. Located along Place du Casino adjacent to the Casino de Monte-Carlo, the Opera de Monte-Carlo showcases traditional opera performances and visitors can also take a tour of stately building. Constructed in 1879 with a Second Empire architectural style that features Beaux Arts accents, the Opera de Monte-Carlo is also known as the Salle Garnier which refers to the original architect who was Charles Garnier. The opera house is very similar to the Opera de Paris which was also designed by Garnier but was constructed on a smaller scale with only 524 seats. The exterior of the building has exquisite detail with a dome in the center and two flanking bell towers. The interior exhibits a Baroque style with gilded ceilings, ornate chandeliers, frescoes and there is plenty of unique carved statues. When you want to watch one of the premier car racing events in the world then an ideal thing to do in Monaco is to see the Monaco Grand Prix. Dubbed as one of the top three races of the year, the Monaco Grand Prix forms part of car racing’s Triple Crown of Motorsports. Since its inception in 1929, the race has become one of the most prominent events in the world of automobile racing along with the 24 Hours of Le Mans and the Indianapolis 500. Each year thousands of spectators line the streets and view from various vantage points as the highest powered racing cars in the world navigate a 2-mile track that is narrow with 19 tight turns which are demanding on the cars as well as the drivers. One of the most dangerous of the 19 turns on the track is the Fairmont Hairpin where drivers must have complete control over machine and mind. An added bonus to this event is viewing the some of the most famous and wealthy people of the world as they cheer on their favorite driver. 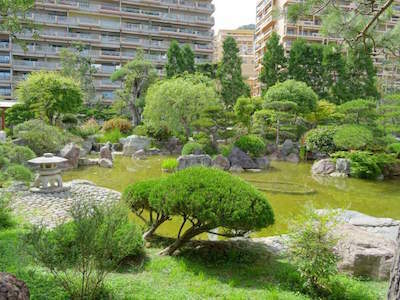 When you are searching for a place to relax in a peaceful environment that allows you to clear your thoughts then an ideal thing to do in Monaco is make a stop at the Japanese Gardens. Located in the Larvotto District, the Japanese Gardens reside within 1.7-acres of manicured gardens that bring together the attribute of the Zen concept. First dreamed of by Princess Grace the gardens were created by Prince Ranier III in 1994 and feature several areas of striking difference. As you stroll through the gardens you can view areas such as lakes, beaches, mountains, waterfalls and hills that are mixed together to form a tranquil environment. There are replicas of a 12th century terrace, traditional Japanese arched bridges and a tea house. You can view numerous stone temples, a koi pond with 18 different species of koi and the flora ranges from lotus flowers to abelia gradniflora to lantana camara to tree germander to crape myrtle. You can find shade under numerous species of trees like maple, pine as well as rhododendrons and there is a traditional Zen garden. If you like to experience beautiful flowers in a surreal environment that is great for relaxation then one of the best things to do in Monaco is to plan a stop at the Princess Grace Botanical Garden also known as the Princess Grace Memorial Rose Garden. Located in the Fontieiville District adjacent to Fontieiville Park, the Princess Grace Botanical Garden is situated on almost 1.5-acres of manicured gardens and was first created in 1984 by Prince Rainier III to commemorate the death of his wife Princess Grace also known as actress Grace Kelly. When you visit the garden you will be delighted with viewing over 8,000 rose bushes from around 300 species. As you walk through the gardens you can view roses such as Grimaldi Royal Family as well as roses named after princes and princesses. There are handsets available to assist you in identifying roses by scanning a QR code located on each rose. While you are there you can enjoy beautiful vistas of the Mediterranean Sea as well as a bronze statue of Princess Grace which was created by artist Kees Verkade. 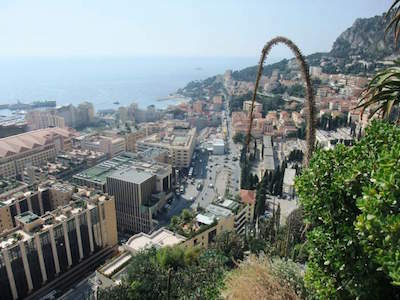 If you are interested in viewing some of the most exotic plants in the world while seeing breath taking views of the Mediterranean Sea then an ideal thing to do in Monaco is to visit the Exotic Garden of Monaco also known as the Jardin Exotique. Located in the La Condamine District, the Exotic Garden is situated on a mountainside overlooking the French Riviera and was open to the public in 1933. The garden is packed with succulent plants from distant dry regions around the world. While you are strolling through the gardens you will view cacti and agaves from Mexico, South Africa, the Arabian Peninsula, and Southwestern United States as well as from Central and South America. There are plenty of interpretive signs throughout the gardens explaining the different species of plants as well as nice overlooks of the Mediterranean Sea with plenty of benches for relaxing. Also onsite is a cave that has numerous stalagmites, stalactites as well as flow stone and there has been evidence of prehistoric human activity found within cavern. If you like to see historic architecture, try your luck at a few table games or experience a time gone past then a great thing to do in Monaco is to take a trip to Casino Cafe de Paris. Located along Place du Casino, the Casino Cafe de Paris was first constructed in 1868 as a small brasserie named Cafe Divan which after being renamed the Cafe de Paris in 1870 the first crepe Suzette was created for the Prince of Wales (later King Edward VII of England). Over the years the casino/cafe has been through numerous renovations with additions to the building’s exterior facades and interior. Today you will find a mixture of Neo-classical, Art Deco and Moderne architectural styles that melt together to form this building’s exterior facade. Inside there are plenty of slot machines, table games and at one point there was even a bowling alley present onsite. The cafe is still highly regarded as a top place for food as well as beverage options and is a perfect place for people watching. When you want to experience stunning views of the Mediterranean Sea, see amazing statues as well as nice flora then an ideal thing to do in Monaco is to visit the Saint-Martin Gardens. Located on the southwestern side of the Rock of Monaco and adjacent to the Oceanographic Museum of Monaco, the Saint-Martin Gardens were first constructed in the early 19th century by Prince Honore V and was the first open space for nature created in Monaco. The gardens are situated on the cliff side facing the Mediterranean Sea and Monaco Harbor with beautiful vistas of the turquoise blue waters. As you wander on the paths you will see several statues including a bronze statue of Prince Albert I when he was a sailor, peaceful fountains, remnants from the original Saint Nicholas Cathedral and even medieval fortifications such as turrets from the 1700s. The flora within the garden features native species found in the Mediterranean such as yellow agaves and Aleppo pine trees. Bird watchers can pack a picnic and enjoy a meal on one of the numerous benches and photographers will be thrilled with the panoramic views from the top of the Rock of Monaco. One of the best things to do in Monaco for car aficionados that want to see some of the finest automobiles ever made is to visit the Private Collection of Antique Cars of H.S.H. Prince Rainier III. Located in the Fontieiville District, the Private Collection of Antique Cars of H.S.H. Prince Rainier III resides on five terraces that encompass over 53,000-square feet which exhibit over 100 cars and coaches from around the world. Prince Rainier III started collecting vintage cars in the 1950s and today visitors can view incredible pieces of craftsmanship that range from Rolls Royces to Facel Vega to Napier to a 1903 De Dion Bouton as well as a Lexus Hybride used during the royal wedding of Prince Albert II and the Princess Charlene. There are a number of racing cars from car manufacturers like Ferrari to Lamborghini to Maserati as well as several racing vehicles which have raced in the F1 Grand Prix of Monaco such as a 1929 Bugatti Type 35 and a 2013 Citroen DS3 WRC which won the Rally of Monte Carlo that year.